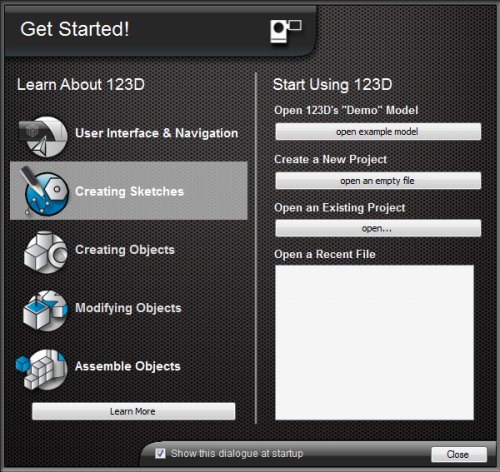 Yet more good (free) stuff from Autodesk, who have released a 3D sculpting and painting app for the iPad called 123D Sculpt. 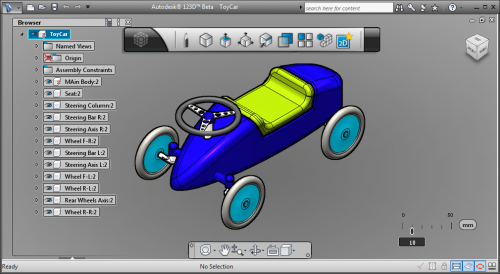 Users can select from a number of pre-defined shapes as a starting point and use a variety of tools are available that enable the user to 'tweak' the model into the shape that they require. AutoCAD reaches its 25th birthday. First demonstrated at the COMDEX trade show in Las Vegas in 1982, its still going strong today. The Autodesk File tells the history of Autodesk and its principal product AutoCAD through a collection of documents edited by the Autodesk founder and former CEO John Walker. 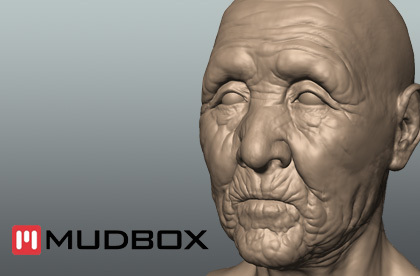 Autodesk has announced that it has signed an agreement to acquire substantially all the assets of Skymatter, Inc., the developer of Mudbox 3D modeling software. This acquisition will augment Autodesk’s offering for the film, television and game market segments, while offering additional growth opportunities for other design disciplines. 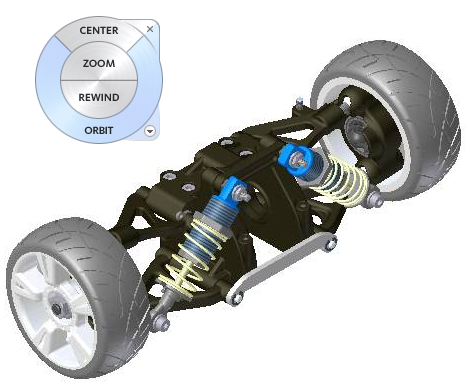 Autodesk anticipates that the transaction will close in the next two months. and a navigation wheel a UI tool that allows users to select options from a floating wheel. This is a raw rendering service that provides no GUI. The service accepts an URL to a DWF, view parameters, and returns a rendered image file. You can build your own interactive or multi-platform viewer from this service. The 'dwf.aspx' service above uses this service internally to produce the various views. &width = <integer> The width of the image to produce (in pixels). &height = <integer> The height the image to produce (in pixels). &bg = <integer> Color of background in hexadecimal (bg=ff0000 for red or bg=80808080 for semi-transparent gray) or t (bg=t) for the original color in transparent. and here's the picture generated from that html. 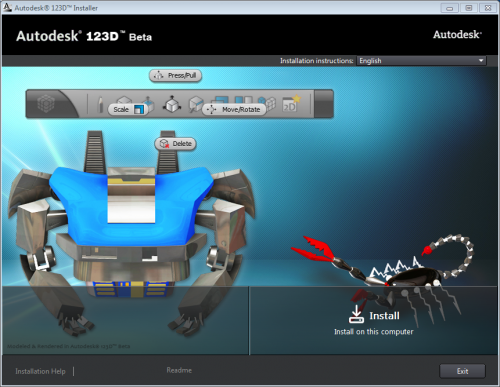 Back in September 2006, Autodesk introduced Autodesk Labs. One of the items on display was Project Freewheel (https://dwfit.com) - both a web-site where you can enter a DWF url for interactive viewing and a web-service that allows you to embed an interactive DWF viewer in your own HTML page. Now, CADoogle (https://cadoogle.com/) uses the Autodesk Freewheel together with Google Search technology to display views of DWF files. Both 2D and 3D dwf data can be displayed, although it wasn't exactly promising when the following error appeared when I was using it this morning. Currently , the system will only search on keywords found in the name of the dwf files. A special version is available for Mobile devices and you can use also use an RSS feed.